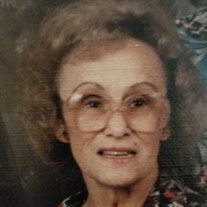 Mildred L. Donehoo, age 93 of Lebanon, Missouri, passed away Thursday morning, March 21, 2019 at Lebanon South Nursing and Rehabilitation Center. The family of Mildred L. Donehoo (Lebanon) created this Life Tributes page to make it easy to share your memories. Send flowers to the Donehoo (Lebanon)'s family.